The Ark Animal rescue have set up a new collection point in Louth for bedding and pet food. Lindsey Welding Supply Company will be able to take in supplies. They are at Warwick Rd, Fairfield Industrial Estate, LN11 0YB Tel: 01507 604083. HSBC in the Cornmarket have also been taking things in, and they will be able to do this until the end of 2012. The animal shelter needs dog and cat food and fresh vegetables for rabbits, old bedding and blankets, collars, leads, dog and cat beds, towels, cat litter, bin liners, disinfectant, and more. The campaign to save Louth's ambulance station goes on. Last Thursday David Hall and Aidan Fletcher collected 135 more signatures to the petition last Wednesday, bringing the total to at least 1700. The consultation ends on the 17th December, after which EMAS will decide which stations in the East Midlands area they are going to shut down. Local charity Tanzania Rural Revival, which I wrote about last year, has published its annual report. Notable successes include improving the water supply in the district of Bulongwa, and shipping a container full of recycled NHS equipment to Makete hospital. This container arrived at the end of May. They also support local credit unions and school projects. TRR is a small charity with an annual turnover of around �28 000, so they need every penny. If you want to know more, go to the Tanzania Rural Revival website. I notice that their old website, at the .com address, has been taken over by some spammers so be sure to update any old bookmarks you had. 15th of November will see elections for a new police and crime commissioner. The successful candidate will stand until May 2016. Standing for Lincolnshire are David Bowles (Campaign to Stop Politicians Running Policing), Alan Hardwick (independent), Richard Davies (Conservative) and Paul Gleeson (Labour). It's interesting that David Bowles and Alan Hardwick both emphasise how much they don't want politics to interfere with policing. This strikes me as fuzzy thinking, because everything is political, especially the matter of how many police we have, what powers they have, and how we pay them. But aside from that I know very little about any of these candidates, and I doubt I'm the only one. David Bowles is the only candidate with extensive information about his views available and easy to find, aside from the brief statements on the Choose My PCC website. He's been very outspoken about the relative underfunding of the Lincolnshire force, for example. 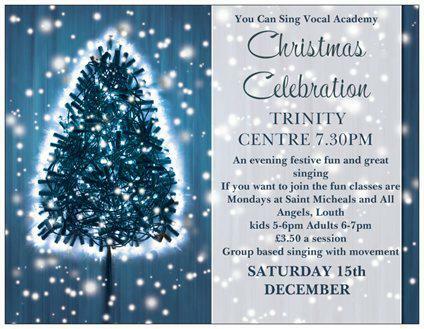 There will be songs from musicals, Christmas tunes, dance, costume changes, and lots of other good stuff from the Louth branch of You Can Sing Vocal Academy. We've been practising since summer, so it's going to be a blast. Make space in your schedules! The annual run to raise money for cancer research was hot and sticky, but as colourful as ever.